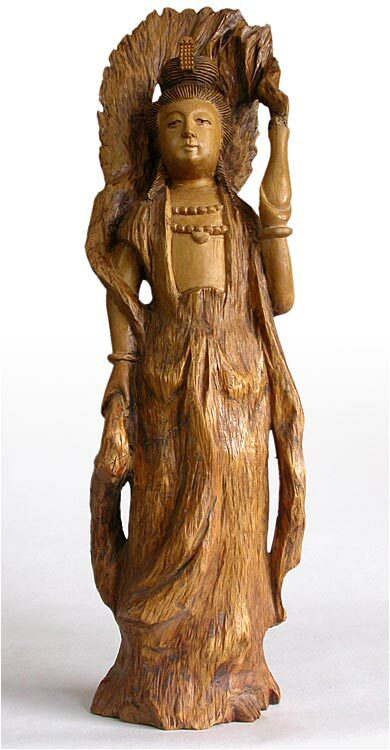 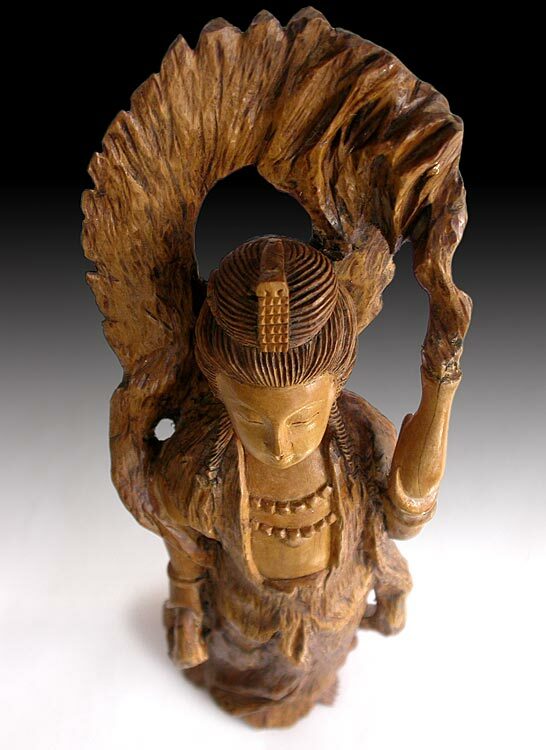 Kannon, the Japanese Bodhisattva of Mercy and Compassion, her right hand is holding the celestial scarf swirling around her figure, and left hand upraised to hold a vase of nectar, she wears a hair clip over a high bun in concentric patterns, with a flame-like aureole framing her youthful features, in a courtly countenance she stands breezily, and arching lightly toward her back; her robes is densely textured, suggesting the flow of raindrops falling and covering her feet. 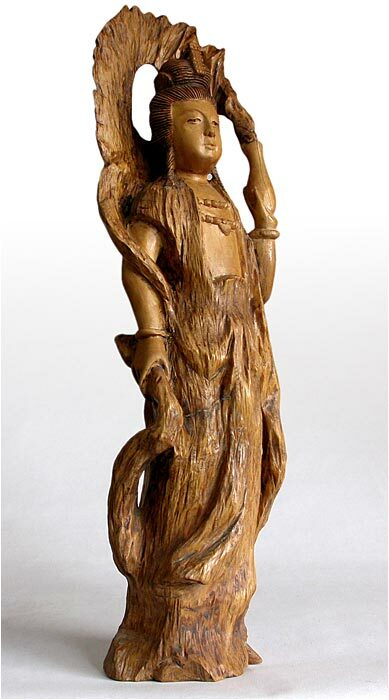 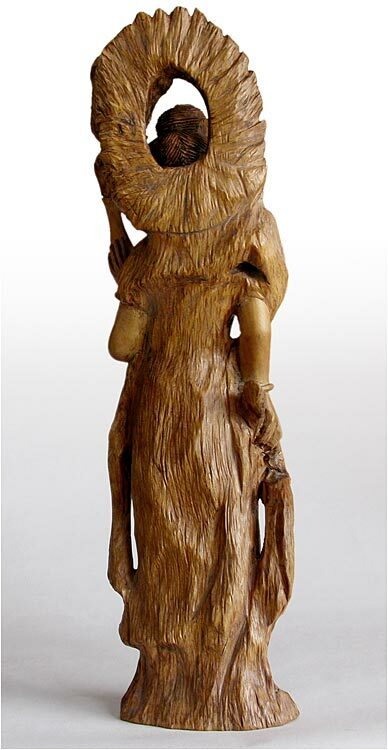 The carving is poising a tinge of contemporary aesthetics in a classically proportioned figure. 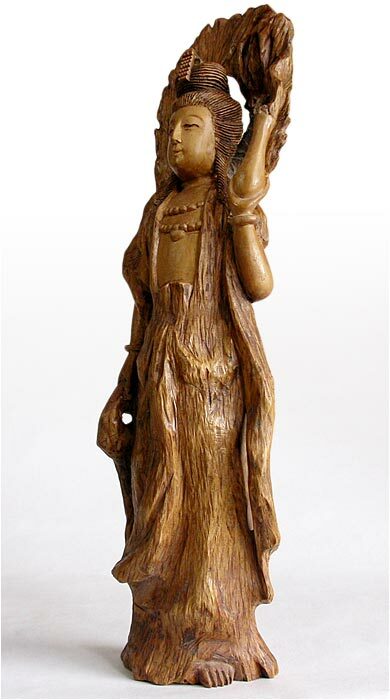 It is well preserved and cherished for use in home decor or spiritual practice.